But in a larger sense, we can not dedicate -- we can not consecrate -- we can not hallow -- this ground. The brave men, living and dead, who struggled here, have consecrated it, far above our poor power to add or detract. The world will little note, nor long remember what we say here, but it can never forget what they did here. It is for us the living, rather, to be dedicated here to the unfinished work which they who fought here have thus far so nobly advanced. It is rather for us to be here dedicated to the great task remaining before us -- that from these honored dead we take increased devotion to that cause for which they gave the last full measure of devotion -- that we here highly resolve that these dead shall not have died in vain -- that this nation, under God, shall have a new birth of freedom -- and that government of the people, by the people, for the people, shall not perish from the earth. Arkansas, Texas, Louisiana, (except the Parishes of St. Bernard, Plaquemines, Jefferson, St. John, St. Charles, St. James Ascension, Assumption, Terrebonne, Lafourche, St. Mary, St. Martin, and Orleans, including the City of New Orleans) Mississippi, Alabama, Florida, Georgia, South Carolina, North Carolina, and Virginia, (except the forty-eight counties designated as West Virginia, and also the counties of Berkley, Accomac, Northampton, Elizabeth City, York, Princess Ann, and Norfolk, including the cities of Norfolk and Portsmouth); and which excepted parts, are for the present, left precisely as if this proclamation were not issued. And I further declare and make known, that such persons of suitable condition, will be received into the armed service of the United States to garrison forts, positions, stations, and other places, and to man vessels of all sorts in said service. And upon this act, sincerely believed to be an act of justice, warranted by the Constitution, upon military necessity, I invoke the considerate judgment of mankind, and the gracious favor of Almighty God. On the occasion corresponding to this four years ago, all thoughts were anxiously directed to an impending civil war. All dreaded it, all sought to avert it. While the inaugural address was being delivered from this place, devoted altogether to saving the Union without war, insurgent agents were in the city seeking to destroy it without war, seeking to dissolve the Union, and divide effects, by negotiation. Both parties deprecated war; but one of them would make war rather than let the nation survive; and the other would accept war rather than let it perish. And the war came. Neither party expected for the war the magnitude or the duration which it has already attained. Neither anticipated that the cause of the conflict might cease with, or even before, the conflict itself should cease. Each looked for an easier triumph, and a result less fundamental and astounding. Both read the same Bible, and pray to the same God; and each invokes his aid against the other. It may seem strange that any men should dare to ask a just God's assistance in wringing their bread from the sweat of other men's faces; but let us judge not, that we be not judged. The prayers of both could not be answered, that of neither has been answered fully. The Almighty has his own purposes. "Woe unto the world because of offenses! for it must needs be that offenses come; but woe to that man by whom the offense cometh." If we shall suppose that American slavery is one of those offenses which, in the providence of God, must needs come, but which, having continued through his appointed time, he now wills to remove, and that he gives to both North and South this terrible war, as the woe due to those by whom the offense came, shall we discern therein any departure from those divine attributes which the believers in a living God always ascribe to him? Fondly do we hope, fervently do we pray, that this mighty scourge of war may speedily pass away. Yet, if God wills that it continue until all the wealth piled by the bondsman's two hundred and fifty years of unrequited toil shall be sunk, and until every drop of blood drawn by the lash shall be paid by another drawn with the sword, as was said three thousand years ago, so still it must be said, "The judgments of the Lord are true and righteous altogether." With malice toward none; with charity for all; with firmness in the right, as God gives us to see the right, let us strive on to finish the work we are in; to bind up the nation's wounds; to care for him who shall have borne the battle, and for his widow, and his orphan, to do all which may achieve and cherish a just and lasting peace among ourselves, and with all nations. I. The responsibility of choosing the position for action devolves upon the Commander of the Artillery. If assigned to his position by the General Officer under whose orders he is placed, he will, to relieve himself from the responsibility, report to the latter its objectionable features, provided a better one can be found, and suggest the means necessary to improve or secure it. 1. The efficacy of fire of the battery. 2. Cover for the pieces from the enemy�s fire. 3. The position of the rest of the troops. 4. The facility of movement. 1. That fire should be effective, is in all cases the most important consideration, to which�as far as may be necessary�the second consideration must be sacrificed. For this purpose a clear view of the enemy is necessary, and judgment must be used in the selection of the different projectiles, according to the nature of the ground and the object to be attained. The concentration of fire rather than its distribution, is of importance; hence the guns should be as much as possible so placed, that their fire may converge on important points, and should not be too much scattered over the field. In a hilly or undulating country, a moderate elevation which gives a good view of the ground is the best position for Artillery. Too much elevation should be avoided, since the fire is more effective in proportion as the projectiles pass more closely to the ground. Ground covered by bushes, trees, or other obstructions, is not favorable to the use of artillery. It is advantageous, under all circumstances, to fire at lines obliquely, and at columns, in the direction of their greatest depth. Against walls the most effective projectile is solid shot, Shot and shell should be used against log stockades, barricades, etc., and for sweeping a wood, to which latter purpose, shrapnel and canister are not well adapted�and also against deep columns of cavalry taken in the prolongation of the column. There has been too much neglect of solid shot fire from the smooth bore guns. Canister is to be employed at close quarters. It is effective both from the wide spread of its balls, and from the rapidity with which it may be fired; accurate aiming not being necessary. Canister may be fired with great advantage into the edge or skirts of a wood which is about to be charged by our infantry, and against the flank of an enemy�s battery at close quarters, under which circumstances the canister shot are very destructive to both men and horses. The prevailing tendency to the use of canister is too great. Shrapnel may be considered as a long-range canister, the iron case or shell, carrying the bullets safely over the ground before distributing them. It should be chiefly used against troops which are stationary or not moving rapidly; or directed against fixed points over which an enemy is passing. Distances must be accurately judged, the projectile carefully prepared, the fire slow and deliberate, and its effect well noted, with a view to the correction of errors. Shrapnel is too often wasted. Artillery officers should recollect that, although it is the most effective and powerful of projectiles if well used, it is also the most harmless and contemptible if used badly; that the elements of uncertainty in its effect are numerous, and, therefore, in its use, nothing should be left to chance which can be made certain by care and attention. Shrapnel should never be fired rapidly, except against large and dense masses. An intelligent officer or non-commissioned officer should be detailed to watch the effect of each shot, and to report what correction appears necessary. When time presses, and observation of the shrapnel fire is difficult, canister is preferable if the range is such as to admit of its use. Shrapnel fire is very effective against lines of troops, columns, or batteries, which are stationary upon, open ground. It is not to be used against troops which are covered from view by the conformation of the ground, or by obstacles of any kind, � except only, when it is known that the enemy is stationed within a certain distance in the rear of a given obstacle, as in the case of field-works, against the defenders of which shrapnel is effective. Batteries should be as much as possible, protected from sudden attack, either by their position, or by troops posted near them. A position within the rifle range of a wood or other cover, which is not held by our own troops is a bad one, and should not be taken if possible to avoid it, since the enemy can occupy the cover, if only with sharp-shooters, and pick off our men and horses. Woods and other places of cover within the range of small arms, must therefore be occupied by our own troops. Even on perfectly open ground, the flanks of a battery must be protected from assaults. Its front can take care of itself, and hence it follows that the supports of batteries should never be placed behind them, nor amongst the carriages, but always on the flanks, either on the prolongation of the line of the battery, or, if ever can thus be secured, in advance or rear of that prolongation, but always within easy supporting distances, and no closer, so that the fire directed on the battery may not injure its supporting troops. Although Artillery, as a rule, must protect itself against attacks from the front, yet if such attacks are made by a heavy force, either in successive lines or in column, and with determination and persistence, the supporting troops should, if practicable, wheel forward their outward flanks, so that their cross-fire may sweep the ground in front of the battery; and may then charge vigorously with they bayonet, the Commander of the supports having previously arranged with the Commander of the Battery for a suspension of the Artillery fire. The enemy having been driven off, the supports will at once fall back towards the flanks so as to unmask the fire of the battery. 2. Artillery should, whenever practicable without undue detriment to its offensive powers, seek positions in which it may be protected from the enemy�s fire, or concealed from his observation. The best natural cover is that afforded by the crest of hills, which slope gently towards the enemy; the guns should be placed behind them with their muzzles looking over the top. The limbers and caissons will thus be entirely concealed. Cover, which makes splinters when struck by shot, such as masonry, wood stacks, etc., is objectionable. Artificial cover may be obtained by sinking the piece. This is done by making an excavation for it to stand in. The excavation should be 1� feet deep in front, and should slope gently upwards towards the rear. This earth is to be thrown up in front to the height of about 1� feet. Ditches are dug at the sides for the men. This system of sinking the piece is used with advantage behind the edge of a hill, as it permits the piece to be brought closer to the crest, and enables it the better to sweep the ground. Next to the protection of the guns, that of the caissons and limbers is of importance. Where the batteries are frequently moving, the limbers cannot be put under cover, but must remain close in rear of the pieces. Caissons must not, in any case, be so far separated from their guns, that they are beyond the prompt control of the Commander of the Battery. 3. The third consideration in posting Artillery is that of the position of the rest of the troops. In general, the advance and positions of the Infantry and Calvary determine the position for action of the Artillery, which usually places itself on the flanks of the other troops, or between their intervals, where it is secure itself, and can fire for the longest period of time. A position in advance of other troops is very objectionable, especially in advance of Cavalry; cases occur, however, in which it cannot be avoided, those cases being, in general, when the action of the artillery is of primary importance, and there is not suitable position for it elsewhere. It may be laid down as a rule that Artillery should not fire over our own troops. For this there are three good reasons. Accidents are liable to happen to the troops from the projectiles. It embarrasses their advance by battering the ground in front of them, and obliging them to hold back until the fire can be stopped or its range extended. It makes the men over whom the projectiles are passing uneasy, and may demoralize them. When it becomes necessary to fire over troops, solid shot, and in rare cases, shell should be used, and not canister, nor shrapnel; the latter projectile being liable to burst too soon, and to carry destruction among those over whose heads it was intended to pass. 4. It is of importance that every position assumed by Artillery should afford facilities for free movement in every direction, in order that such new positions may be taken up as circumstances may require. When this is not the case, care must at least be taken that the safety of the guns is not compromised. When the position is to be held to the last extremity, strong supports should be furnished and the guns fought to the last, so that if lost it shall be with honor. If the position is not to be so held, and the nature of the ground will permit, prolonges must be fixed, that the Battery may be fought retiring with the other troops. When it is likely that a position will be carried, and its defense will not justify the loss of guns; they must, if the nature of the ground will not admit of the use of the prolonge, be limbered up and retired in due season, under the protection of their supports. A Battery may often be retired by sections and half Batteries, under the protection of its own fire alone. Whenever a Battery takes post, the means of moving it to the front, the flanks or the rear must be studied by its commander, and, if necessary, walls and fences torn down, and ditches filled up, so that no unexpected obstacles may hinder its freedom of movement in any direction. It is a disgrace to an Artillery officer if a gun, or even an opportunity of rendering service, should be lost, through a neglect or want of forethought on his part. Guns may be honorably lost, if their sacrifice is necessary to the safety of other troops, �provided the enemy is made to pay dear for them�and not otherwise. III. Objects of fire. It is too much the tendency of Artillery to fire at Artillery. In the beginning of a battle, the Artillery should direct its fire wherever the enemy seems most exposed to danger. When the battle is further advanced, if our own troops are about to repel an attack, that portion of the enemy�s force is to be fired on whose attack is the most dangerous for the time being. If we are acting on the offensive and the guns must fire on that portion of the enemy whose resistance is most formidable. When acting on the defensive the enemy�s infantry and cavalry are the most proper objects of fire. Artillery fire is to be concentrated on single points rather than divided between numerous objects, notwithstanding that such a division or distribution of the fire may cause a greater or absolute loss to the enemy. It is not the number of killed and wounded that decides a battle, but the panic and demoralization of those who remain; and this panic and demoralization are much sooner created and spread by concentrating the Artillery fire on successive points, than my distributing it over a wide space. The general rule is, that Artillery should concentrate its fire upon that part of the enemy�s force which, from its position, or from its character, it is the most desirable to overthrow. Against an enemy�s Battery the fire should be concentrated on a single piece until that is disabled, and should then be turned upon another, and an analogous plan should generally be followed in firing upon Infantry and Cavalry. When firing upon a hostile column, the guns are to be directed at its centre. If the column is in the act of deploying, the flank toward which the deployment is being made is to be fired on with canister or shrapnel. As a general rule, Artillery should not fire upon skirmishers or small groups of men. IV. The fire of Artillery is not to be commenced until the enemy is within effective range; that is, so near that at least one quarter of the shots are hits. Firing at too great a distance wastes ammunition which will be wanted at the critical moments of the battle, and emboldens the enemy�s troops by giving them a contemptuous idea of the effects of our fire. Certain remarks of Frederick the Great may here be borne in mind "It sometimes happens," he says, "that the General in command, or some other General, is himself forgetful, and orders the fire to be opened too soon, without considering what injurious consequences may result from it. In such a case the Artillery officer must certainly obey, but he should fire as slowly as possible, and point the pieces with the utmost accuracy in order that his shots may not be thrown away. Such a fire is only pardonable when the General wishes to attract the enemy�s attention to one point, so as to make movements in another." In the fire of Artillery accuracy is of far more importance than quickness. The fire should be slow while the enemy is at a distance; it is to be quicker as the distance diminishes, and is to become rapid when canister shot is being fired at effective ranges, "The proper expenditure of the ammunition is one of the most important duties of an Artilleryman. An officer who squanderers the whole of his ammunition in a short engagement proves himself incapable of appreciating the due effect and use of his arm, and incur the heaviest responsibility. There are moments in which we should not fire, or only very slowly, and others of a critical nature in which there should be no question of saving ammunition; but the latter are only of short duration and do not lead to a lavish expenditure of ammunition; while the inefficient, constant fire at long ranges always has that effect." After an engagement, the commander of each Battery must use all diligence in putting it into a condition to march and to fight. As soon after the action as possible, a return of the losses of men and material and a report of the fight will be presented to the proper staff officer. The return should contain a specification of the men and horses killed and disabled; of whatever has been made unserviceable or injured; of whatever has been expended, lost, or damaged; and of all defects of material and ammunition noticed, and should suggest proper remedies. The report should briefly describe the participation of the Battery in the engagement, as far as may be necessary for understanding the part taken by the Battery; the special instructions communicated; the position of the Battery, with a statement of the neighboring troops; the nature of the enemy�s troops against which the projectiles used; the effect remarked; the reasons why positions were changed; the behavior of the men; and, without regard to rank, who distinguished himself; lastly, all important circumstances observed in the neighborhood of the Battery. If Sections or half Batteries were detached, it is to be specified by whose order and for what purpose they were so detached. We are organized, comrades, as our regulations tell us, for the purpose, among other things, "of preserving and strengthening those kind and fraternal feelings which have bound together the soldiers, sailors, and marines who united to suppress the late rebellion." What can aid more to assure this result than by cherishing tenderly the memory of our heroic dead, who made their breasts a barricade between our country and its foe? Their soldier lives were the reveille of freedom to a race in chains, and their death a tattoo of rebellious tyranny in arms. We should guard their graves with sacred vigilance. All that the consecrated wealth and taste of the Nation can add to their adornment and security is but a fitting tribute to the memory of her slain defenders. Let no wanton foot tread rudely on such hallowed grounds. Let pleasant paths invite the coming and going of reverent visitors and found mourners. 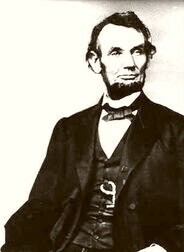 Let no vandalism of avarice or neglect, no ravages of time, testify to the present or to the coming generations that we have forgotten, as a people, the cost of free and undivided republic. Prudence, indeed, will dictate that Governments long established should not be changed for light and transient causes; and accordingly all experience hath shewn, that mankind are more disposed to suffer, while evils are sufferable, than to right themselves by abolishing the forms to which they are accustomed. But when a long train of abuses and usurpations, pursuing invariably the same object evinces a design to reduce them under absolute Despotism, it is their right, it is their duty, to throw off such Government, and to provide new Guards for their future security. Such has been the patient sufferance of these Colonies; and such is now the necessity which constrains them to alter their former Systems of Government. The history of the present King of Great Britain [George III] is a history of repeated injuries and usurpations, all having in direct object the establishment of an absolute Tyranny over these States. To prove this, let Facts be submitted to a candid world. He has refused his Assent to Laws, the most wholesome and necessary for the public good. He has forbidden his Governors to pass Laws of immediate and pressing importance, unless suspended in their operation till his Assent should be obtained, and when so suspended, he has utterly neglected to attend to them. Excessive bail shall not be required, nor excessive fines imposed, nor cruel and unusual punishments inflicted. Amendment IXThe enumeration in the Constitution, of certain rights, shall not be construed to deny or disparage others retained by the people. "I pledge allegiance to the flag of the United States of America and to the Republic for which it stands- one nation under God, indivisible- with liberty and justice for all." On September 8,1892, the Boston based "The Youth's Companion" magazine published a few words for students to repeat on Columbus Day that year. Written by Francis Bellamy, the circulation manager and native of Rome, New York, and reprinted on thousands of leaflets, was sent out to public schools across the country. On October 12, 1892, the quadricentennial of Columbus' arrival, more than 12 million children recited the Pledge of Allegiance, thus beginning a required school-day ritual. At the first National Flag Conference in Washington D.C., on June14, 1923, a change was made. For clarity, the words "the Flag of the United States" replaced "my flag". In the following years various other changes were suggested but were never formally adopted. It was not until 1942 that Congress officially recognized the Pledge of Allegiance. One year later, in June 1943, the Supreme Court ruled that school children could not be forced to recite it. In fact, today only half of our fifty states have laws that encourage the recitation of the Pledge of Allegiance in the classroom! In June of 1954 an amendment was made to add the words "UNDER GOD". Then-President Dwight D. Eisenhower said "In this way we are reaffirming the transcendence of religious faith in America's heritage and future; in this way we shall constantly strengthen those spiritual weapons which forever will be our country's most powerful resource in peace and war."